In his show entitled Stage Diver, Tilo Schulz presents an installation conceived specifically for the Secession. Three interconnected rooms built from precious mahogany panels extend through the gallery’s exhibition halls, creating a space that offers visitors a variety of subtle experiences. 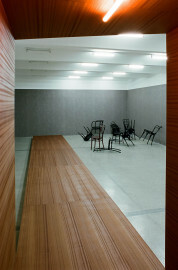 The space begins as a stage, then transforms into a small enclosed gallery where the artist’s drawings are on view, and finally leads into a long catwalk that extends to the end of the exhibition hall, where a casually arranged stack of Thonet chairs creates the impression of a long-abandoned place. The exhibition can be perceived only by walking through the installation from one end to the other, actively putting it to use. 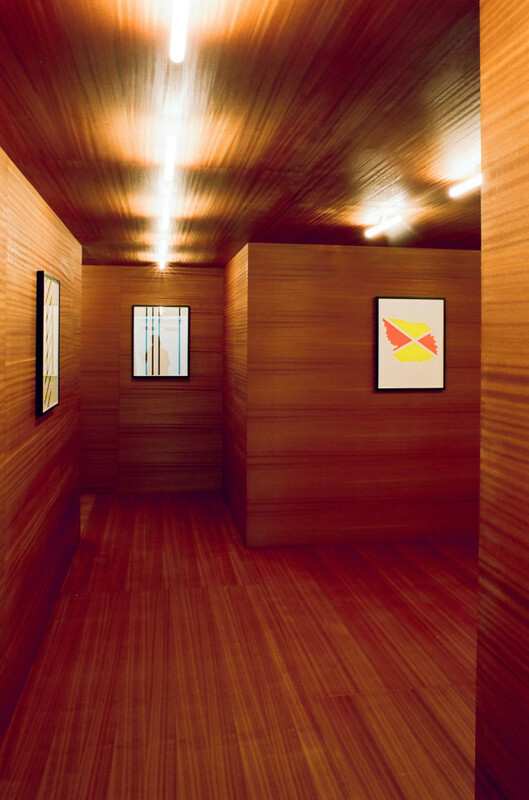 In this way, this autonomously changing “space within space” becomes a “transition space” and space of action for visitors that seeks to evoke reminiscences and associations and inspire reflection. The installation clings to the existing architecture of the exhibition halls, takes it up by following its shapes, reproduces and imitates them, and yet remains selfcontained and autonomous. The beam structure, partly visible from outside the installation, associates temporary architectures such as theatrical stage designs. The aesthetic perfection of the interior and its lavish mahogany surfaces form a glaring contrast with the provisional character exuded by the outside. 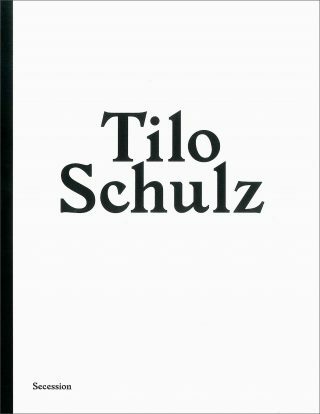 Tilo Schulz’s work is located at the interfaces between art and handicrafts, architecture, and design; between high and popular culture. Questions of presentation and representation, of individual perception and the social or political instrumentalization of art are recurrent central issues in his works and exhibitions. 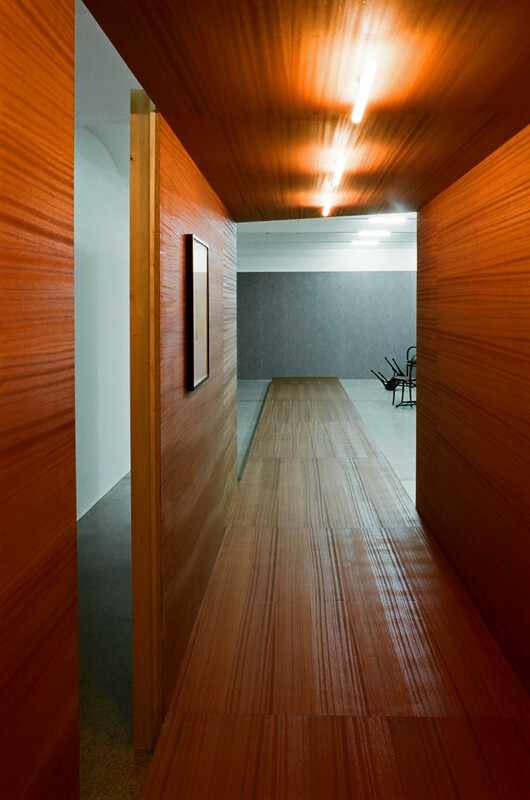 The artist, who has also frequently worked as a curator, devotes as much attention to the mise-en-scène of the visitor’s course through the exhibition, of visual axes and spatial sequences, as to the visitors themselves, who are taken into account from the earliest planning stages. 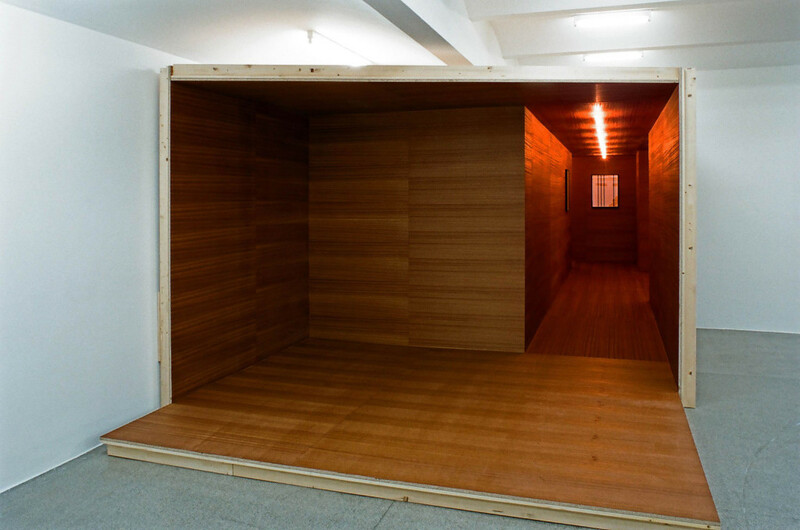 Schulz sometimes invites them to become agents in his exhibitions, a process the artist calls “activation.” One characteristic feature of Schulz’s oeuvre is his close engagement of the formal language of modernism. His interest in the (historical) debate between the politically instrumentalized art of the former totalitarian systems of the Eastern Bloc and the supposedly free art of the West – a debate his works often critique – is rooted in the artist’s biography; he was born in the former East Germany in 1972. His works fuse these allegedly contrary and rival formal languages, arguing against the unambiguous legibility and immutability of visual signs and aesthetic forms. Tilo Schulz, born in Leipzig in 1972, lives and works in Berlin.